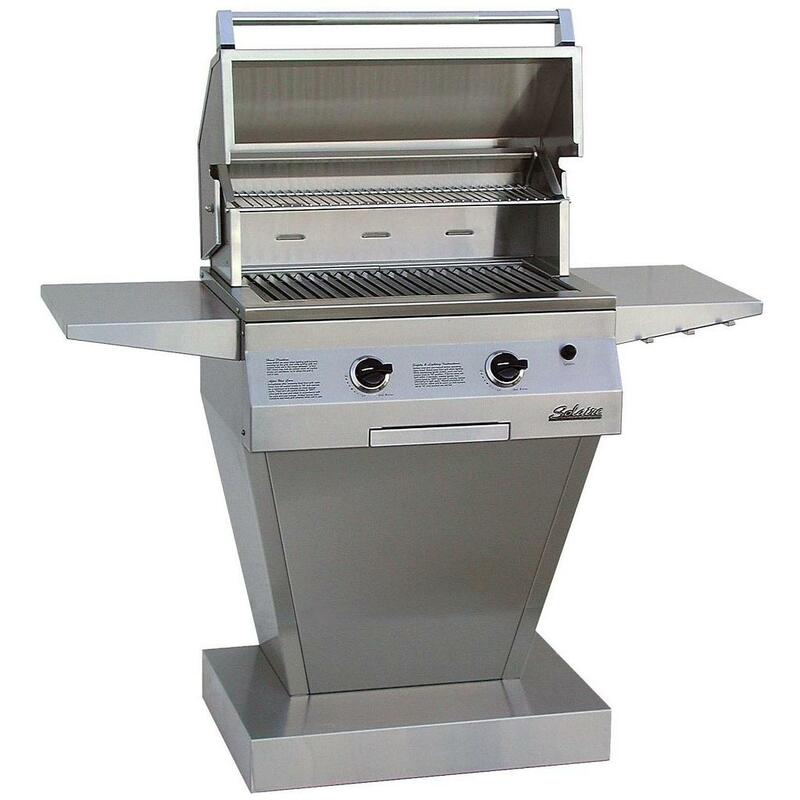 This Solaire All Convection Freestanding Gas Grill features commercial 304 grade, 18 gauge stainless steel construction with heli-arc welded seams, hand-polished mirror finish, and no mechanical fasteners; top-supported, self-trimming design; stay cool double skin hood; full-width stainless steel knurled tubular handle; two stainless steel convection burners totaling 24,000 BTUs; 473 sq inches of cooking surface (293 sq inches of effective grilling area) making it perfect for 2-4 people; stainless steel V-shaped grilling grates that catch drippings to enhance flavor and reduce flare ups; removable stainless steel warming rack and drip tray; and pushbutton rapid-start ignition. Burners are easily removable for cleaning. Solaires stainless steel angular pedestal base features hidden casters and two fold down side shelves. Solaire All Convection Gas Grills have a limited lifetime warranty on stainless steel construction, main burners and V-grilling grids.